Yesterday, Apple introduced iPhoto for iOS, featuring a host of gesture-based image editing tools. One of the features of the app allows you to see exactly where an image was taken using a ‘Maps’ button. The mapping data from this feature is the biggest sign yet that Apple is preparing to drop Google Maps from iOS. Shortly after the app was released on the App Store, it was noticed by Stephen Hackett of 512Pixels, along with some TNW readers, that the maps used in the app were not the typical Google Maps flavor that Apple normally presents in its iOS software. We proceeded to investigate the maps, eventually coming to the conclusion that the map image tiles were being served up by Apple itself, from a server called gsp2.apple.com. The mapping data that the images were based on appeared to come from the partially crowd-sourced mapping service OpenStreetMaps. This was later confirmed by OSM itself, which noted that the data Apple used to generate the images was from 2010 (and threw a dig in at apple for not attributing the data to them). But why is this such a big deal? 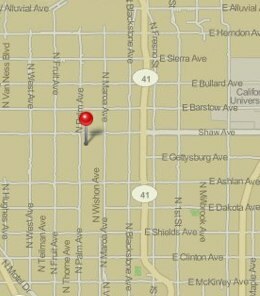 So what if Apple is using some old mapping data from a free repository to gin up its own maps for iPhoto? To answer this question, you have to understand a bit about how mapping technology like this works. When you browse using Google Maps, for instance, there are several components at work. There is your location, which is generated by data from your device’s GPS and a reverse geocoder, run by Google in the case of Maps.app. Then there is your zoom level, which determines the ‘area’ that you’re looking at. Then, there is the biggest bit, the maps tile server that serves up what you actually look at. With Apple’s Maps.app on the iPhone, these images are served up by Google. 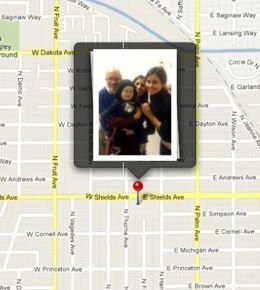 This is why the maps in your Maps app look so much different from the maps that we’re seeing in iPhoto for iOS. 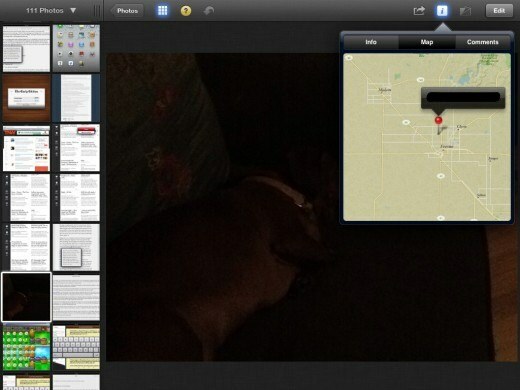 Here, a photo’s location as presented in the Photo app’s Places feature, alongside the same location as shown in iPhoto for iOS. I spoke with Jamie Pinkham, developer at Black Pixel, who spent some time in the GIS industry. He confirmed that map images coming from Apple’s servers proves that the company now has its own tile server. A tile server is the primary component of any mapping system. It delivers the images that you see when using Google Maps, Bing Maps or any GPS unit. It’s the ‘visual front end’. It’s also the most complex and difficult part of a mapping system to implement and maintain. Major companies in the mapping field are completely dedicated to serving map images. This is not a light undertaking. Lowell Ballard, of Timmons Group’s Geospatial Solutions Division (you can see what they do here), confirmed that the data to generate them appears to have come from OpenStreetMaps outside of the US, where the project originated and its data is more mature. Inside the US, Apple appears to be using, to some degree, TIGER data. There is a bit of a caveat here, however. Apple’s server currently doesn’t seem to support map tiles at as high of a zoom level as Google’s server does. This causes them to look ‘pixelated’ or completely un-rendered, especially when zoomed in. There are a couple of reasons that this could be the case. The simplest explanation is that Apple only wrote its own tile server because it was unsatisfied with the level of customization possible using Google’s own server. It wanted a custom tile set that gave it just the right ‘look’. The tiles are designed in an old-fashioned ‘woodcut’ style, with cues like italicized place names and more that make it visually appealing for basic ‘here’s where you took this photo’ use in iPhoto. 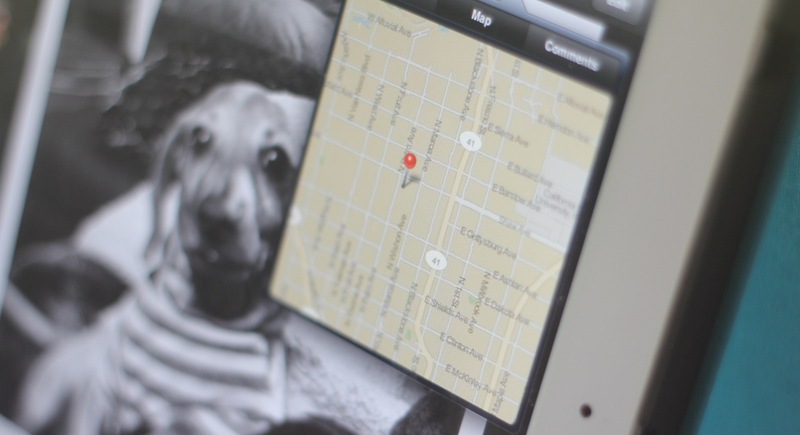 But the ongoing efforts of Apple to build its own mapping solution are too numerous to ignore. Efforts like Apple acquiring a small but innovative maps company Placebase in 2009, snagging Google Earth competitor Poly9 in 2010 and 3D mapping company C3 Technologies and admitting that it was gathering anonymous data for an ‘improved traffic service’ in 2011, that it would be able to offer iPhone users within the ‘next couple of years’. It’s just as likely that Apple has higher quality images, or is in the process of generating them. With a change of the ‘style=’ variable, they could be just as high-res as any Google tile it uses now in Maps.app. The long and short of it is that Apple now has, up and running and serving iOS devices, its very own map tile server, the core of any potential mapping service that it may want to use in the future. With a simple code change, and a new set of tile images that are more detailed, Apple could effectively replace Google as its mapping provider overnight. This is a huge piece of the puzzle when it comes to Apple divorcing itself from Google as a mapping provider, and throughout iOS.